Football Daily podcast: Solskjaer and Man Utd – what happens next? “To lift the Premier League trophy again is what we expect, what we’re used to, what we have done so many times,” he said. “We can’t wait too many years but it’s not going to happen overnight. “I know we will be successful but it’s about taking it step by step. “What I have done before as a player doesn’t really bother me because I am always looking forward. Towards the end of Mourinho’s reign, players and staff were understood to be unhappy with his style of football and development of younger players, while he was also publicly critical of players including Paul Pogba and Luke Shaw. But Solskjaer immediately boosted morale upon taking over at the helm, with Pogba, Shaw and striker Marcus Rashford regaining their form under his management. Anthony Martial signed a new contract at Old Trafford in January and he hopes his now permanent position will encourage other players to follow suit. “To know who is the manager next season is helpful for any player,” he said. Solskjaer plans to bring in new players over the summer and revealed numerous agents had been in touch to “say their players want to come here”. I have got some targets,” he added. 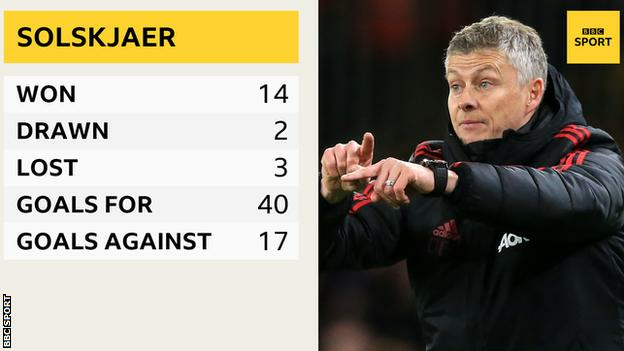 It is easy to see why Ole Gunnar Solskjaer has ended up getting the manager’s job at Manchester United. He just fits the role so easily. The Norwegian walked into the Number Seven Suite at Old Trafford, held up a shirt bearing his name and the number one and then began to talk easily about his hopes, dreams and targets for the future. He is evidently not overawed by the size of the job. 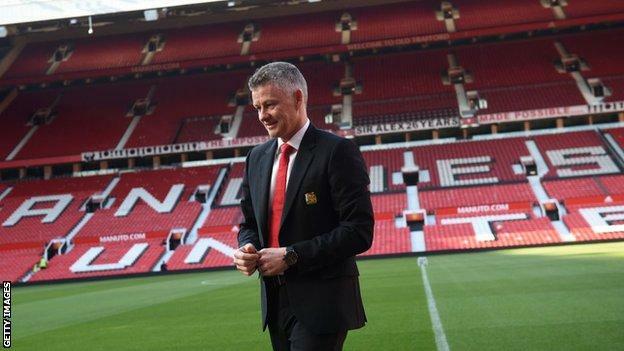 He is clear sighted enough to know what he needs to do to return the club to their former status, and he knows fighting for a top four slot, as United must do this season, is not what is expected. In order to achieve that, he needs to deliver attractive, winning football. That means sifting through the numerous potential targets who, United have been told via agents, are interested in moving to Old Trafford. It means successfully choosing which players to keep and which to let go, and it means bringing through players from the club’s academy which has so much been part of their tradition since Sir Matt Busby’s day. It is not going to be easy, but it is hard to imagine anyone starting the task with so much goodwill, from inside and outside the club.